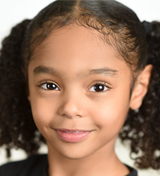 Jordan Cole in Philips Commercial, A BRONX TALE to Play Hanover Theatre in 2019-2020 Season, and more! 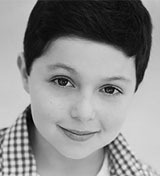 Alum Jordan Cole (Finding Neverland, Les Miserables) can be heard on this commercial for Philips! The Hanover Theatre in Worcester, Massachusetts, has announced its 2019-2020 season, which includes A Bronx Tale! Get more info about the season at TheHanoverTheatre.org! The Tennessee Performing Arts Center in Nashville has announced its 2019-2020 season, which includes Once on This Island and Dear Evan Hansen! Get more info about the season below! The 2019-2020 STCU Best of Broadway season in Spokane, Washington, has been announced, and includes Once on This Island and Miss Saigon! Get more info about the season HERE! And check out these pictures and videos from the kids of The Lion King, School of Rock, Finding Neverland, Miss Saigon, and Les Miserables! Fiona Morgan Quinn to Join FROZEN on Broadway, Frankie Leoni Leaves A BRONX TALE, Gregory Diaz IV in IN THE HEIGHTS Film Adaptation, and more! 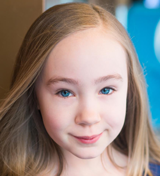 Congrats to alum Fiona Morgan Quinn (How the Grinch Stole Christmas), who will make her Broadway debut in Frozen as Young Anna next month! 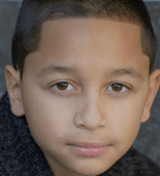 Alum Gregory Diaz IV (Matilda) has been cast in the upcoming film adaptation of In the Heights! 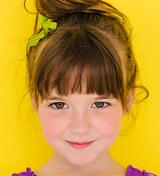 Get more casting info at BroadwayWorld.com! 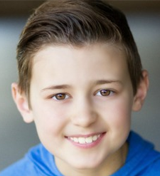 Happy Trails to Frankie Leoni, who took his final bow with A Bronx Tale over the weekend! 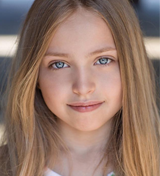 Congrats to alum Catherine Bradley (A Christmas Story), who has booked an Equity staged workshop of Spandex the Musical, and will be playing Little Lorraine and Dori! 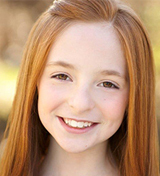 Catherine is also appearing in a commercial for U.S. Cellular! Watch the commercial below. Get a look inside Lulu auditions for Waitress in Providence on The Rhode Extra below! The Morrison Center has announced its 2019-2020 Broadway in Boise, Idaho, season, which includes Waitress and A Christmas Story! Get more info about the season HERE! The Popejoy Hall in Albuquerque has announced its 2019-2020 season, which includes Waitress! Get more info below! And check out these pictures and video from the kids of The Sound of Music, The Lion King, School of Rock, and Les Miserables!